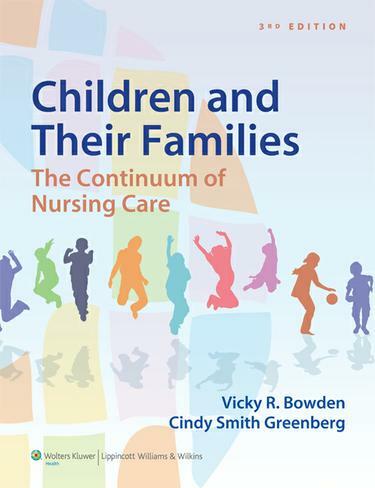 Designed to help nursing students understand their unique role in working with all members of the pediatric healthcare system, this bestselling text addresses the care of children in a variety of settings, from home to school to medical center. Children and Their Families, Third Edition, equips students to make critical judgments and decisions across the continuum of care and thoroughly covers health promotion, surveillance, and the maintenance needs of children from infancy through adolescence. This updated Third Edition contains enhanced case studies, new coverage of cross cultural care, and a streamlined new design that facilitates learning and makes the threaded cases easier to follow. In addition, the book is part of a teaching and learning suite that includes PrepU’s adaptive quizzing, DocuCare’s educational electronic health record software, and Pediatric Nursing Procedures, Third Edition.